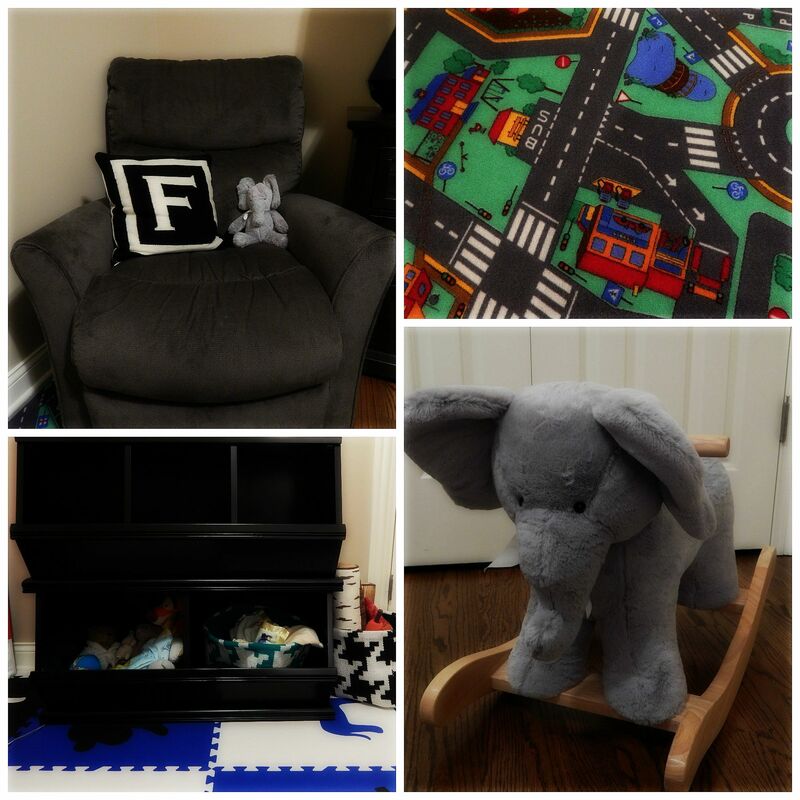 Here’s a peek into our son’s playroom! This past month our little guy has been inching his way to becoming fully mobile/getting into trouble. We decided to be proactive and set up a playroom where he can run around and play (his nursery was too small). We couldn’t be happier that this weekend-long project is complete and we’re set for the impending mischief of Nate growing older. I wanted the overall style to be simplistic, filled with a few bold colors, and utilize a safari theme (enabling us to reuse items from the nursery). 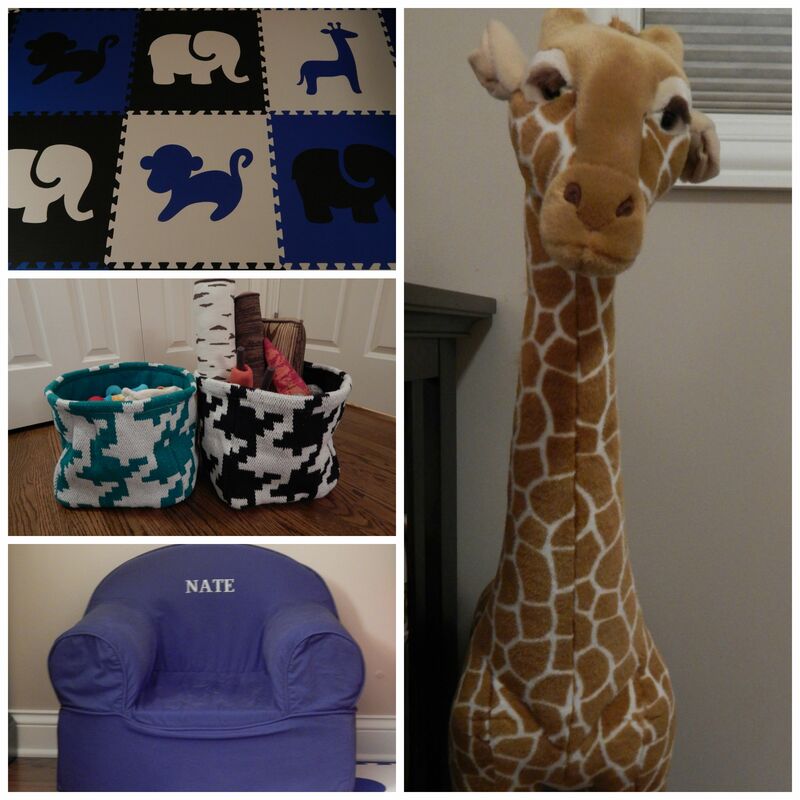 We chose a blue/black/white color palate, displayed by an adorable safari themed foam play mat. I’m not a fan of the ultra popular rainbow colored alphabet mat–too much color for me. We complimented the foam flooring with a two-tier black toy storage unit, grey rocking chair, and blue/black cloth storage baskets. The finishing touches are decorative plush toys (a giant giraffe and a sweet elephant rocking chair) completing the safari theme. 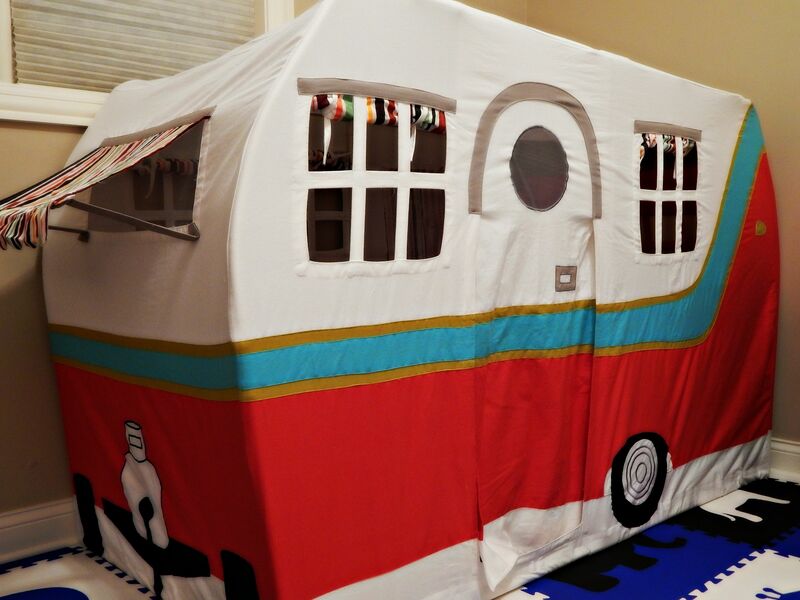 The only piece of decor that’s somewhat of an outlier is the RV tent, I couldn’t help myself!